Do you use camping stoves and camping lanterns? If you answered yes, Coleman fuel may be something you regularly purchase on Amazon, or at other retailers. A petroleum naphtha product, Coleman sells it to fuel its many products as well as appliances made by other brands. 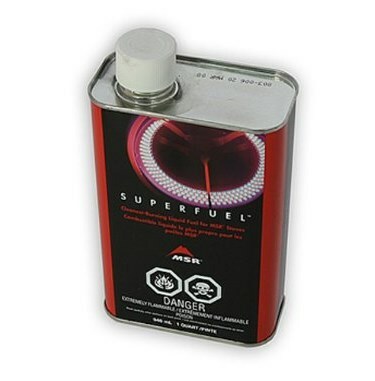 Coleman fuel is not your only option; read on to discover 3 cheap Coleman fuel substitutes. 1 Why Consider Coleman Fuel Substitutes? 6 Is an Alternative to Coleman Fuel the Right Option for you? Why Consider Coleman Fuel Substitutes? Alternatives to Coleman fuel for operating your camping lanterns, stoves, and camping grills can offer you cost savings and depending on where you are during an adventure, may be easier to locate should you run out. White gas, also called petroleum naphtha, is the generic name for Coleman fuel. It also refers to a few other types of gases (including pure gasoline). A petroleum product, white gas is either made from natural gas or distilled from oil, coal tar or peat (partially decayed vegetation matter), along with several other chemicals to include: cyclochexane, nonane, octane, heptane and pentane. White gas puts out a high level of heat and, as one of the purest gasses, its lack of additives means that fuel line clogs will happen less frequently than when using kerosene. White gas was invented in the 1950’s and its first use was in cars. In addition to the variety that is often known as Coleman fuel, there are other forms of naphtha which include: coal-tar naphtha and shale naphtha. All forms are volatile and highly flammable, able to create a white gasoline vapor which can quickly spread out to any nearby ignition source causing a flash fire; as with every source of liquid fuel, it is important to use extreme caution around any source of sparks or fire. What is White Gas Used For? A flammable gas, white gas is regularly used as a fuel for camping stoves and lanterns. White gas will burn cleaner than other choices and is easiest for starting your appliance. White gas will not give off black smoke or toxic fumes, something that you will experience with regular gas and with kerosene. White gas, without the brand name, is essentially cheap Coleman fuel. Once a container of white gas is opened and the fuel exposed to the air, it will begin to degrade. As it degrades, it may lead to clogs in your appliances; it is best to use an open can of white gas within a few months, though it may still be effective for up to two years. An unopened container of white gas can still be used within five to seven years. Unleaded gasoline can be used in stoves and lanterns that operate with liquid fuel. When using unleaded gasoline as a cheap Coleman fuel substitute in your camping stove and lantern, you can expect the performance to be similar to when using Coleman fuel. Unleaded gasoline is affordable and easy to find. When using unleaded gasoline, you can expect to see black smoke and/or fumes. Unleaded gasoline will likely lead to the tubes of your stove or lantern becoming clogged. This means that how long you will be able to use the product prior to it needing to be repaired or replaced may be reduced; how quickly the clogging will occur will depend on how frequently the fuel is used and how fresh it is. Another potential fuel for camping, kerosene (sometimes referred to as paraffin oil) is produced by distilling petroleum at a high temperature (between 150-275 degrees). Heating allows the petroleum to be broken down into separate parts, where the lighter hydrocarbons will rise. In the past, kerosene was removed from fossil fuels like coal, oil shale and wood, though it is now primarily removed from petroleum. 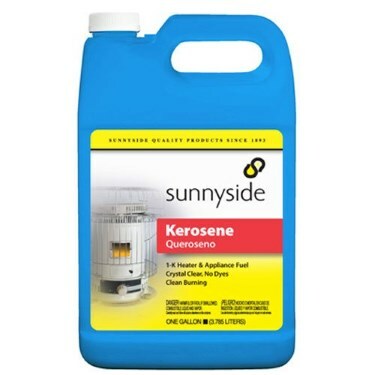 A combustible liquid, kerosene is inexpensive and easy to find. Regardless of where you are traveling, you should have no trouble finding kerosene to fuel your stove or lantern. A few negatives to kerosene include that it is dirty and smells. It may also be more difficult to light than Coleman fuel. Also of concern is how the product will be different in each place where you look to purchase it; you might find it either more or less refined. Kerosene is a mixture of petroleum hydrocarbons. The chemical composition will depend on where it is coming from, though typically it will be made of 10 different hydrocarbons, each of which have 10-16 carbon atoms per molecule. Its high flash points makes it reasonably safe to store and use. How Fast does Kerosene Evaporate? Kerosene evaporates more slowly than all other fuel. How fast it evaporates will depend on several factors, like what type of surface it is spilled on, how much was spilled, the temperature in the environment where the spill occurred and whether it was mopped up. Can You Uses Kerosene in a Coleman Lantern? 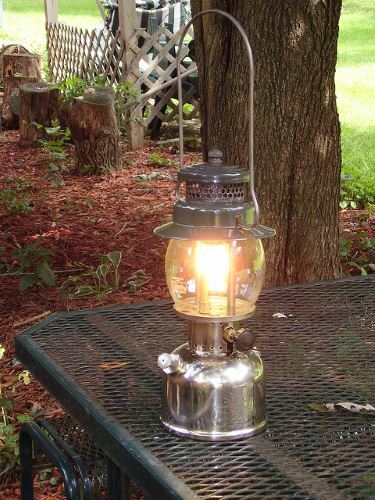 You can use kerosene in your Coleman lantern, though before you choose to do so, it is important to learn more about the maintenance requirements. There is a good chance that any kerosene you buy will burn dirty and cause clogs in your lantern faster than Coleman fuel would. Also, kerosene has a higher flash point (the temperature where it will create a flammable vapor near its surface) than Coleman fuel and it’s necessary for it to pass through a preheated generator tube in order for it to be lit and your lantern to work. To preheat the generator, you will burn raw fuel under it. This is likely not an option built into your lantern already. Should you want to use kerosene, you will have to create a cup that will fit your lantern and allows you to preheat the generator. The tradeoff for the extra work is a significant price savings between the cost of kerosene and Coleman fuel. 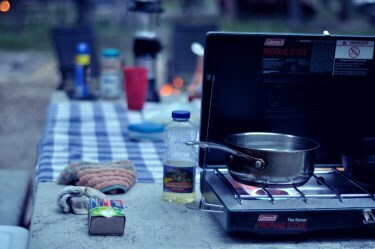 Making Coleman fuel at home ahead of your next camping trip is possible if you have your own gas distillation apparatus, though we want to emphasize that this can be dangerous if you don’t know what you are doing and do not have the proper equipment. A gas distillation apparatus should have water connections to the condenser and there should be a k-type thermocouple. You can pour regular unleaded gas (ethanol free) into the apparatus, which should have a sealant on the connection and everything should be air tight, including the lid on the place where you pour the gas in. You may wonder about the “dregs”. These are hard to light and will not be useful for your lantern or stove. Is an Alternative to Coleman Fuel the Right Option for you? Think about how often you use your appliances, the length of time between uses of your fuel, your expectations for performance, and where you will be using your stove and/or lantern when choosing whether to use an alternative to Coleman fuel. Coleman fuel will light your stove or lantern quickly, and burn cleanly and quietly. It will also not be hard to find, should you find yourself having run out. While there are definitely alternatives to the more pricey brand name stuff, only you can decide whether any potential drawbacks are worth the immediate price savings.